> Toddler girl>Boots and ankle boots>Little combined leather ankle boots with flexible soles. Little combined leather ankle boots with flexible soles. Little ankle boots in suede leather with patent leather, elastic band, zipper closure and SUPER FLEXIBLE soles, for first steps. More info about Little combined leather ankle boots with flexible soles. Little ankle boot shoes in Suede leather combined with patent leather for first steps with elastic band, zipper closure and SUPER FLEXIBLE soles. Made up of 100% high quality natural suede leather combined with patent leather in toe cap and counter. Very classy and fits with every garment this autumn/winter. 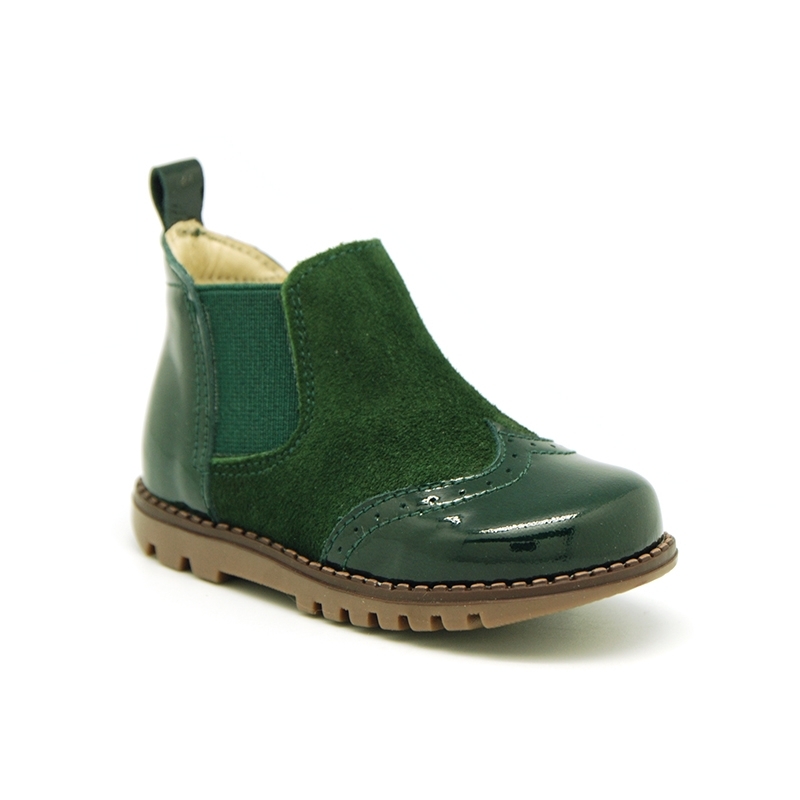 Ankle boot shoes are very trendy this season, even in all little kids collections. Patent leather gives them a better dress look. Data sheet about Little combined leather ankle boots with flexible soles. Medidas sobre Little combined leather ankle boots with flexible soles.